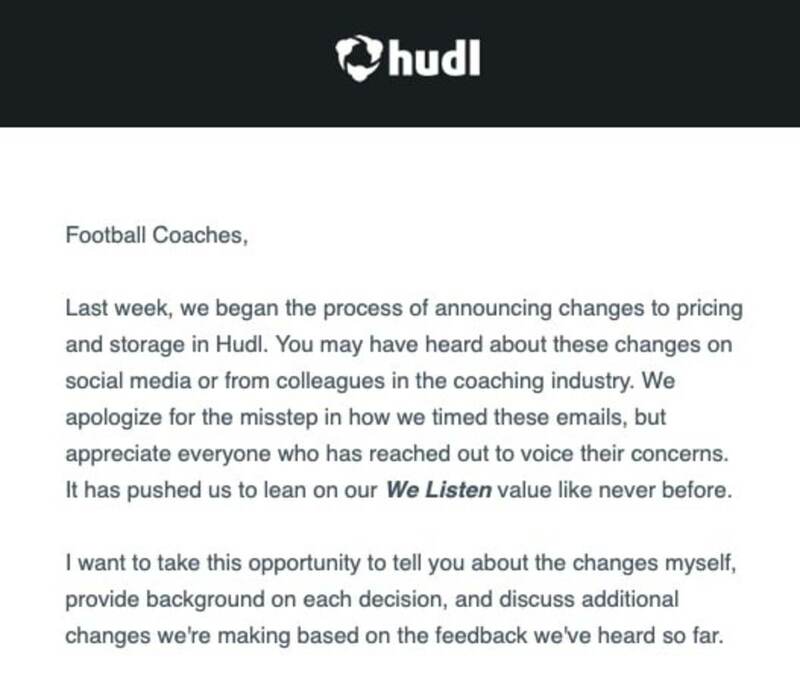 Over the last week Doug has done an excellent job chronicling Hudl’s announced plans to change the pricing & storage plans so many coaches rely upon. To say the changes weren’t well received would be a fair statement. This morning, Hudl has announced a bit of a compromise. 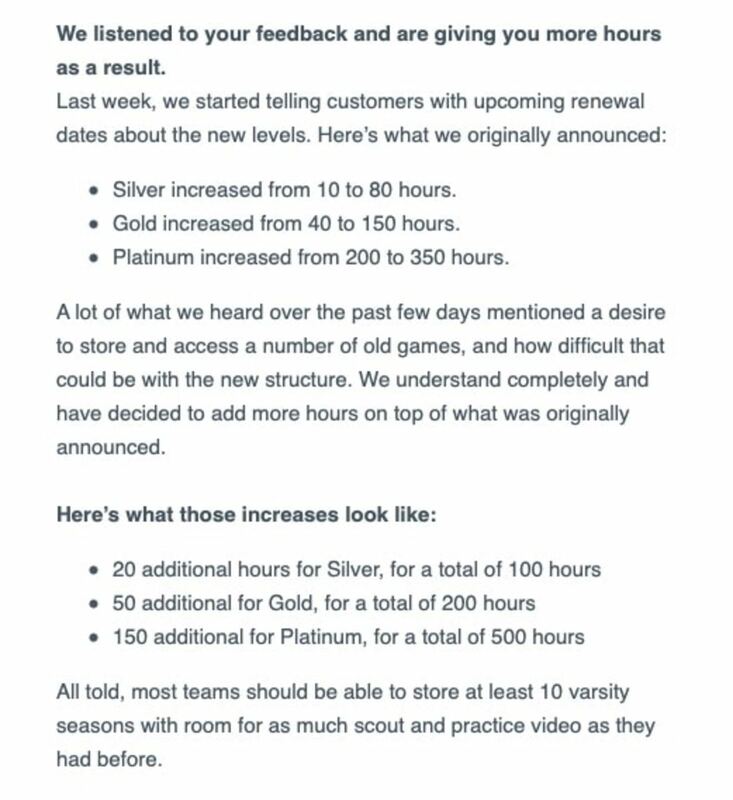 No change to their new pricing structure (which really didn’t seem to be a significant issue for most folks); but they are adding to each team’s available storage capacity. Have a look…. There is more to their announcement; but those are the most relevant points. Head here to read the full announcement. As always, please don’t hesitate to send thoughts (anonymously) to [email protected] or @FootballScoop.